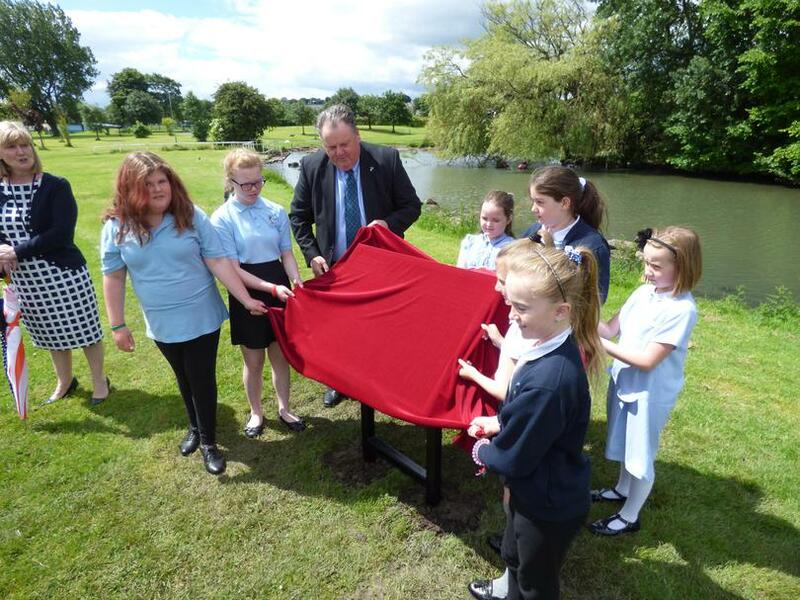 On Friday 1st July, the Oliver Henderson Park Wildlife Interpretation Sign was unveiled. 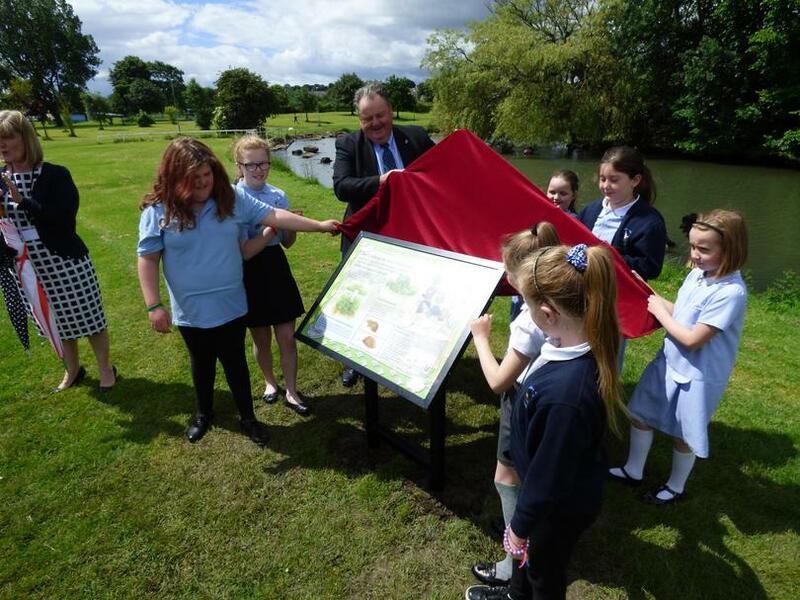 Following on from their success in the NEPIC BOC North East Primary Schools Environmental Award, with their pond improvement project, the children from the Green Team were invited to the opening, where they removed the cover to see their final product. 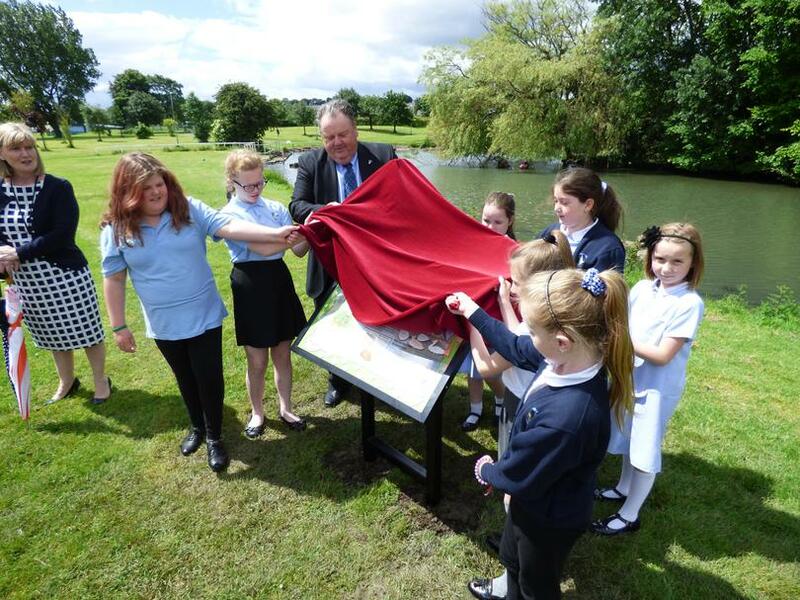 Dr Stan Higgins from NEPIC BOC was also invited to help unveil the sign. 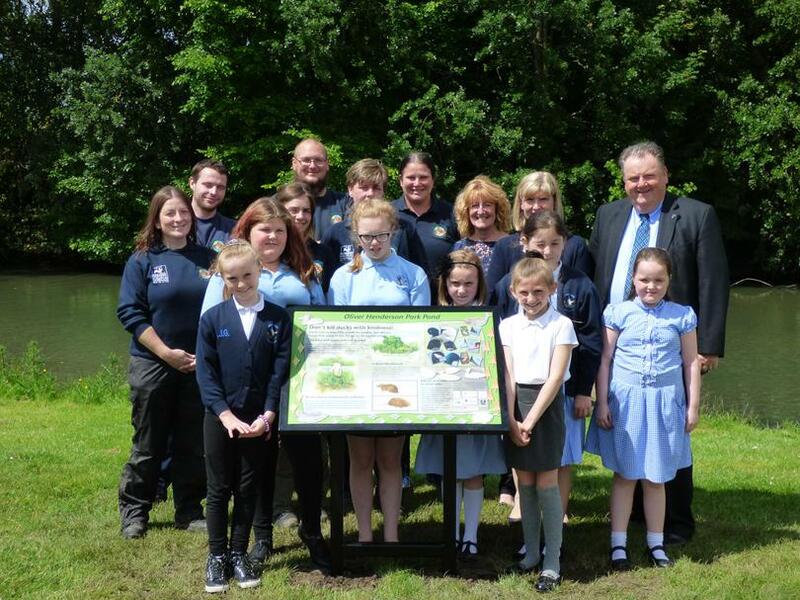 The sign was designed by the Green Team children from Lingey House Primary School. 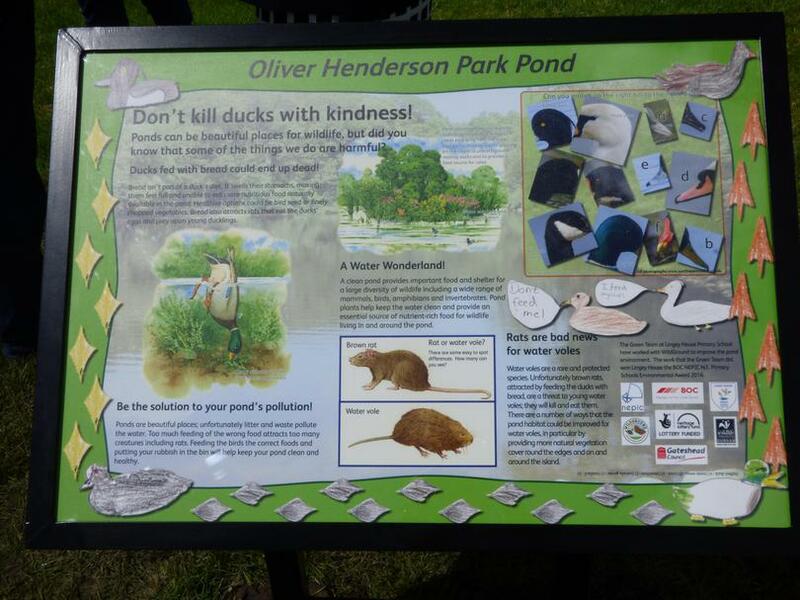 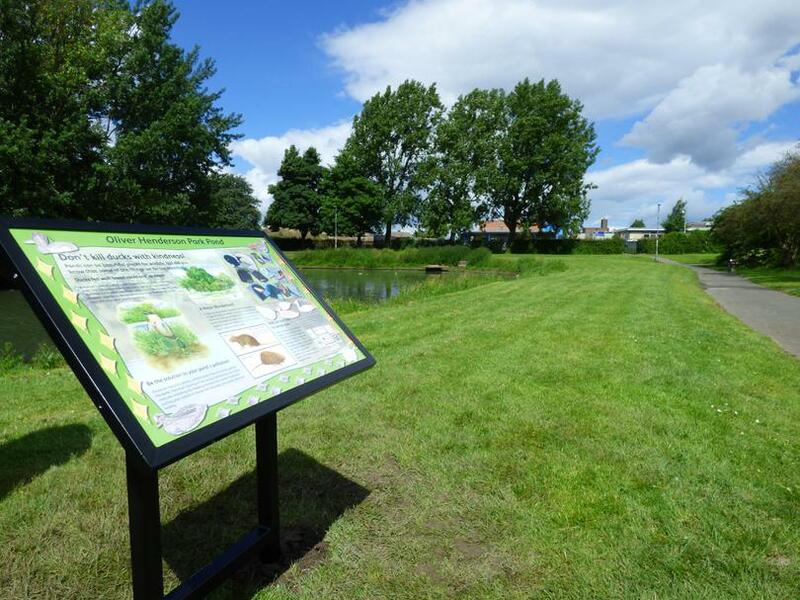 They worked together with Durham Wildlife Trust to create a sign to give information to the public about what can be found in the Oliver Henderson Pond, and how to help care for the wildlife there. 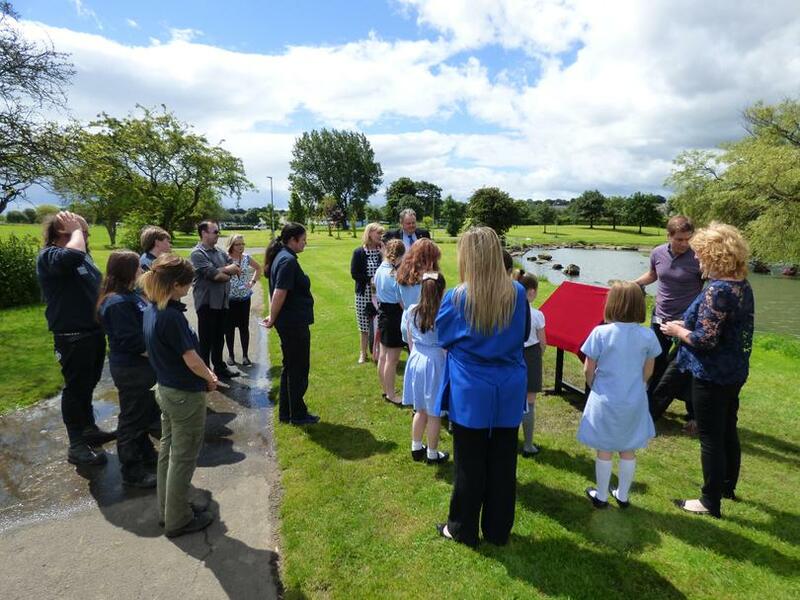 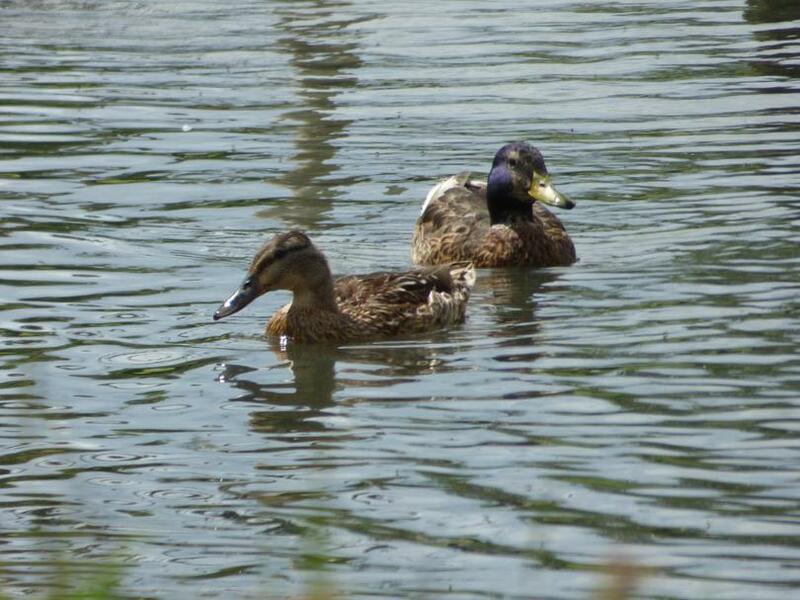 The children then enjoyed spending a little time around the pond looking for some of the Wildlife. 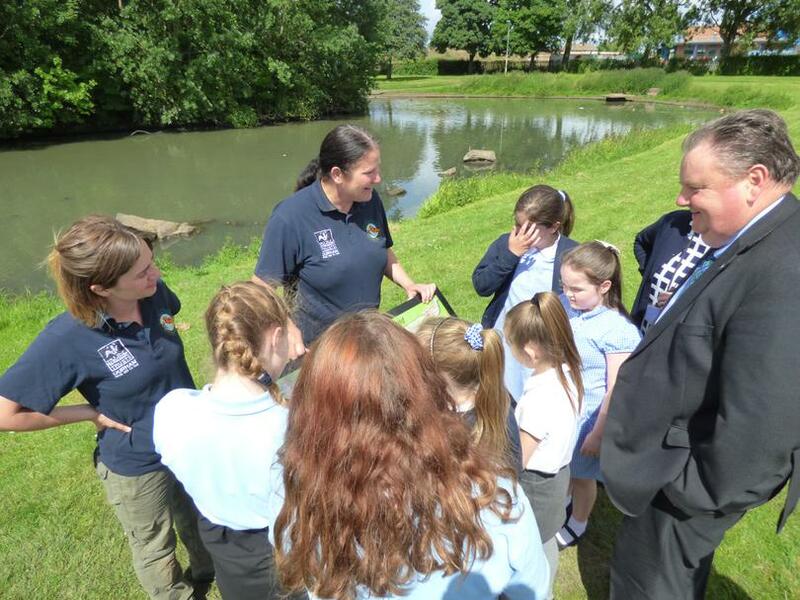 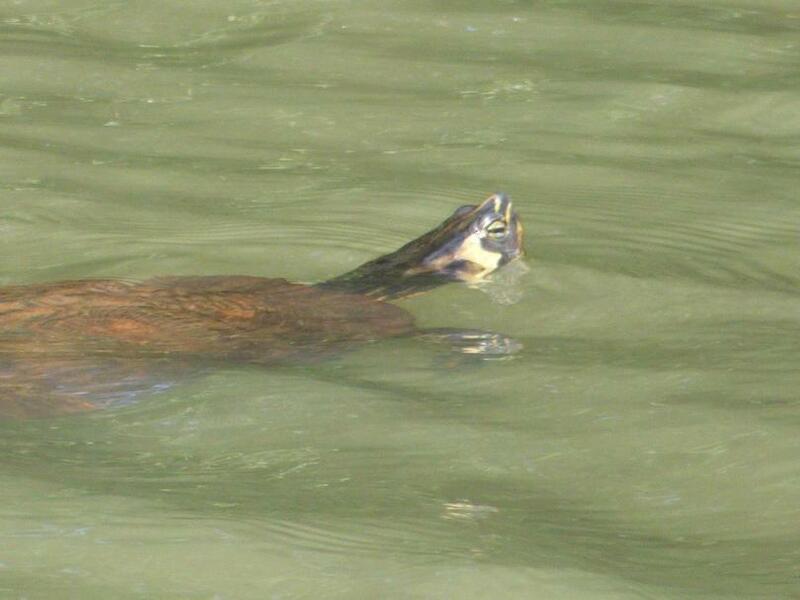 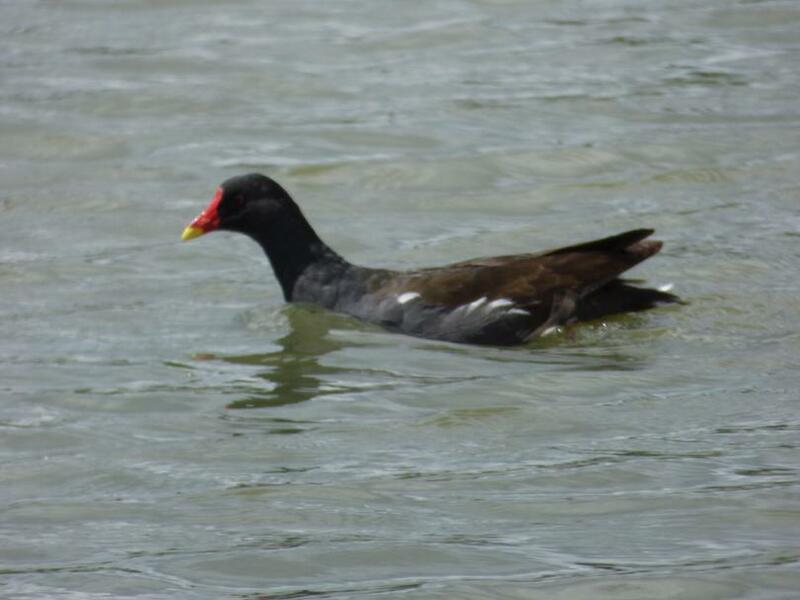 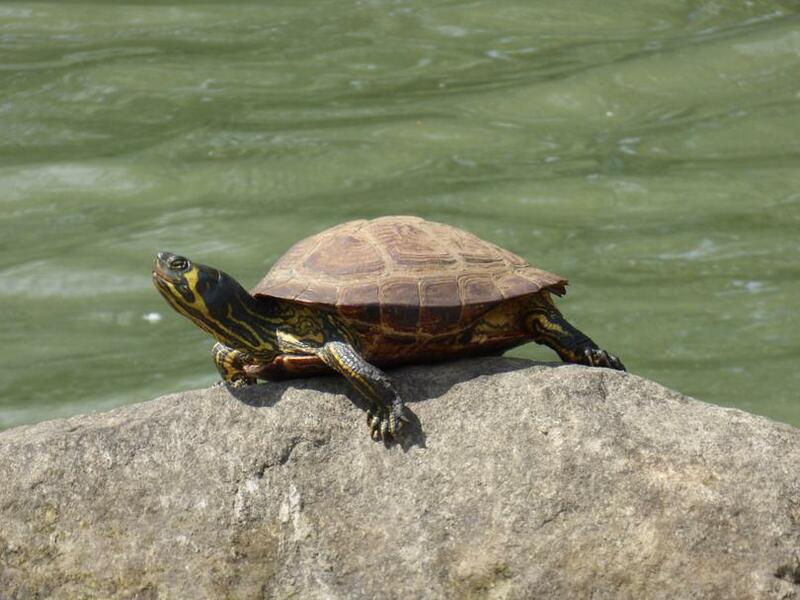 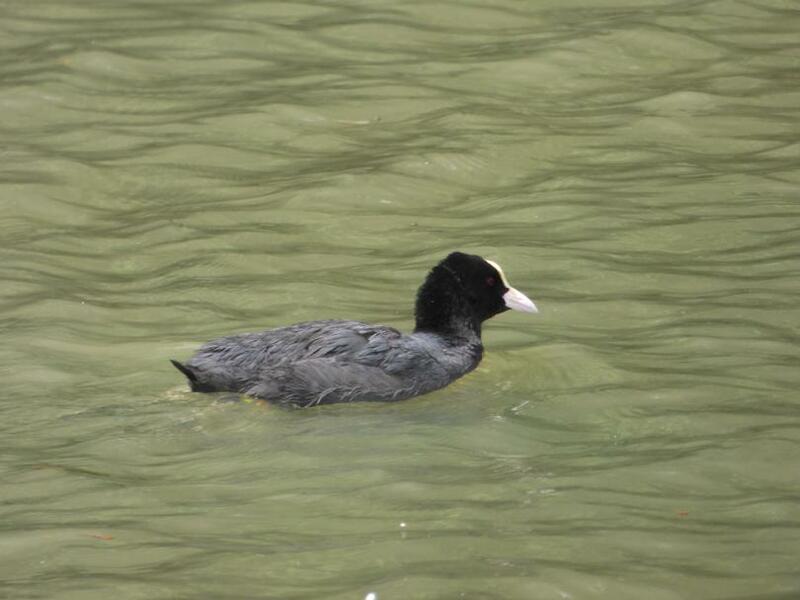 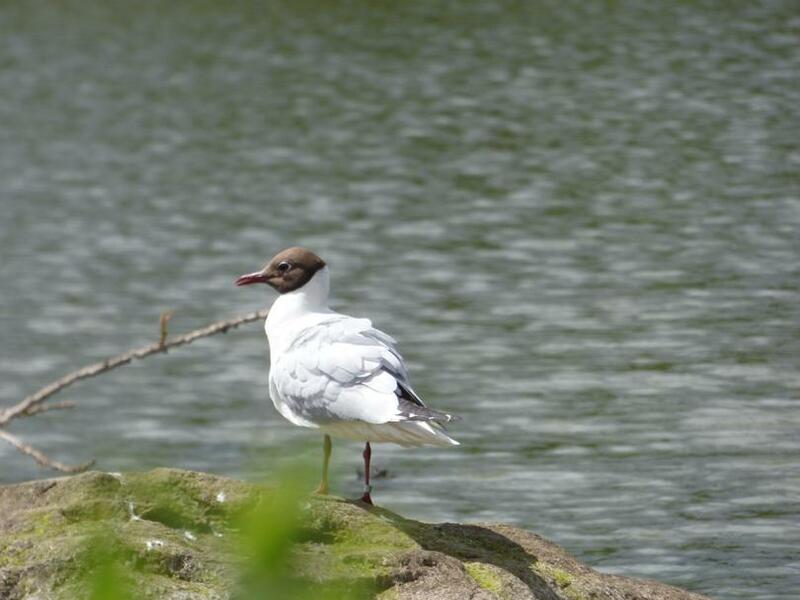 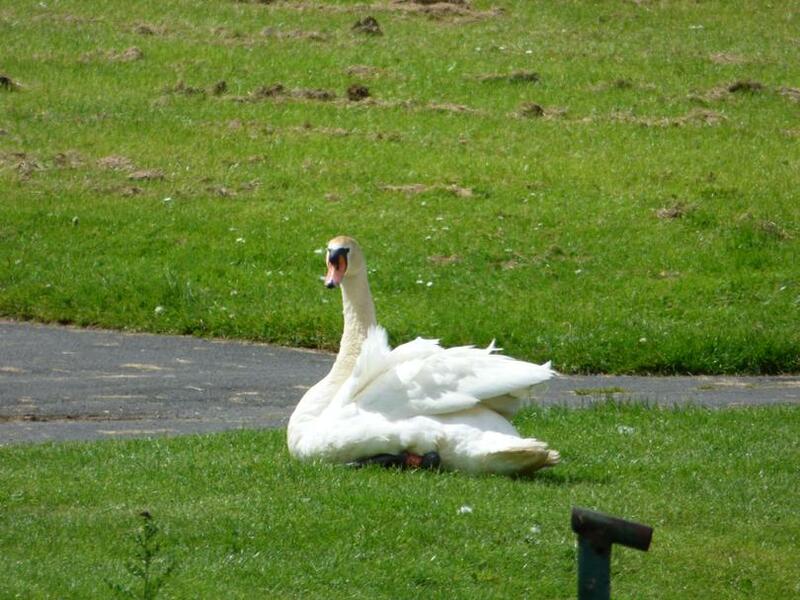 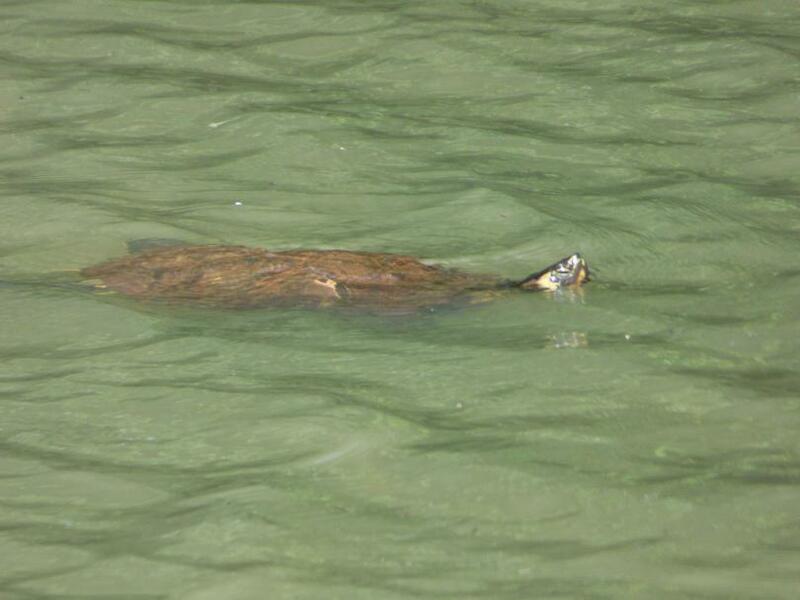 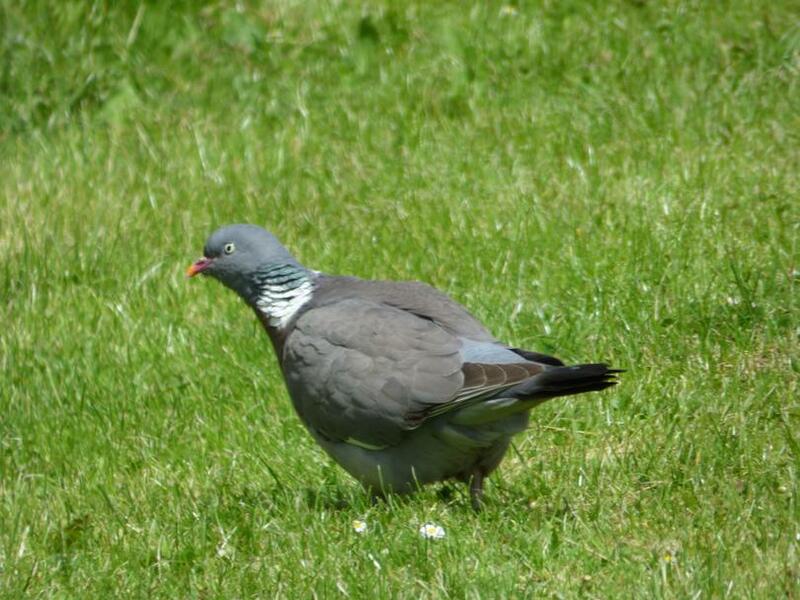 They even managed to spot a heron and terrapins, as well as swans, ducks and moorhens. 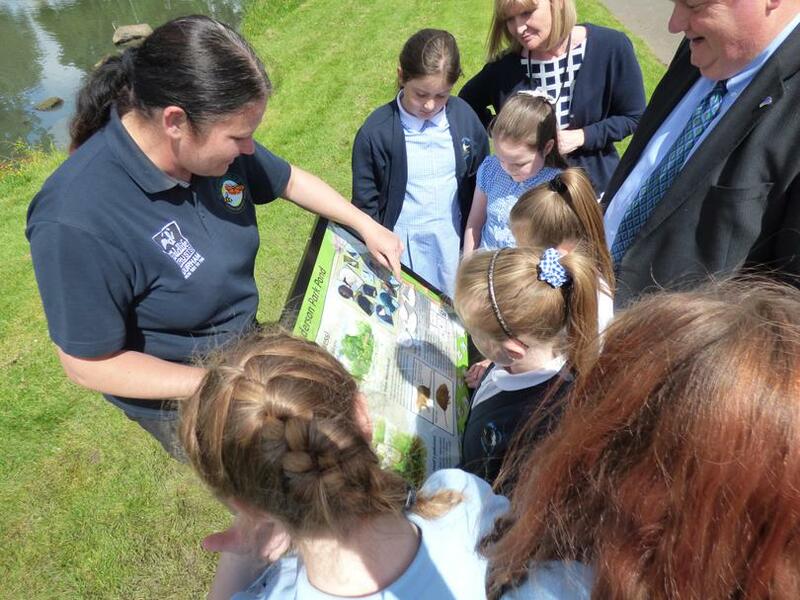 Our guests from Durham Wildlife Trust and Dr Stan Higgins were then invited to a buffet lunch with the children.